Singer is deeply involved in a network of right-wing, “pro-Israel” organizations. He serves on the boards of Commentary magazine,the Republican Jewish Coalition,and the Manhattan Institute, where he chairs the board of trustees.He is a former board member of the Jewish Institute for National Security Affairs,has funded neoconservative research groups like the Middle East Media Research Instituteand the Center for Security Policy, and—along with Home Depot founder Bernard Marcusand casino magnate Sheldon Adelson—is among the largest funders of the neoconservative Foundation for Defense of Democracies.He was also connected to the pro-Iraq War advocacy group Freedom’s Watch. Although a critic of Trump’s presidential campaign, Singer and Trump “appeared to make amends” after Trump’s election. Singer donated $1 million to Trump’s inauguration and was a participant in key funders meetings convened by President Trump. Singer has supported numerous political campaigns, including most recently the presidential campaign of the hawkish Sen. Marco Rubio (R-FL), who is close to the neoconservative wing of the Republican Party. In an October 2015 letter to fellow donors announcing his endorsement of Rubio, Singer wrote that Rubio is the “best explainer of conservatism in public life today” and the “strongest choice” for the nomination. According to tax filings, Singer’s foundation has generously donated to the American Enterprise Institute, the Ethics and Public Policy Center, the Institute for the Study of War, the Claremont Institute, The Israel Project, and the Philanthropy Roundtable. Singer has also donated generously to Republican political campaigns. During the George W. Bush years, Singer donated millions of dollars to the Bush-Cheney vehicle Progress for America and thousands to Swift Vets and POWs for Truth, the political action group that notoriously launched false and misleading attacks on the military service record of 2004 Democratic presidential nominee John Kerry. He later served as a key policy adviser and fundraiser for former New York Mayor Rudy Giulani’s 2008 presidential campaign. During the 2012 cycle, Singer was a top contributor to Restore Our Future, the Republican Super PAC associated with the Mitt Romney presidential campaign. According to the Center for Responsive Politics, Singer was the 19th-most prolific disclosed donor to Super PACS during the 2012 cycle. An avid donor to the Club for Growth, a right-wing 501(c)4 that supports Tea Party candidates, Singer was reportedly a major supporter of the Romney campaign’s decision to tap Rep. Paul Ryan (R-WI)—who made a name for himself proposing tax cuts for the rich along with deep cuts to the social safety net—as its vice presidential pick. According to Palast, Singer once demanded $400 million from the impoverished Democratic Republic of the Congo for a debt he had acquired for less than $10 million, and on another occasion secured a $58-million payment from Alberto Fujimori’s government in Peru in exchange for letting the dictator flee the country in a private plane Singer had seized. Some observers have sought to draw connections between Singer’s investment deals and his support for rightist activist groups. For instance, in early 2015, Singer’s support for neoconservative and rightwing “pro-Israel” advocacy groups drew media attention when observers—spurred by comments made by Argentina President Cristina Fernández de Kirchner—highlighted how groups in the United States who have received donations from Singer have been among the more vocal proponents of the idea that Argentina has tried to cover up alleged Iranian terrorist attacks. Such accusations against the Argentine government have been occurring as Singer’s hedge fund, Elliot Management, has been engaged in a long-running dispute with Argentina to payback in full the amount of its defaulted debt that Elliot Management bought after Argentina’s 2001 debt default. This news followed on earlier reports highlighting correlations between Singer’s election donations and congressional campaigns targeting Argentina. The Inter Press Servicereported in July 2013, “Many letters expressing concern about Argentina’s ties to Iran are signed by lawmakers who have received campaign cash from Singer and his close associates,” including Sen. Mark Kirk (R-IL) and Rep. Ileana Ros-Lehtinen(R-FL). The Singer-backed Foundation for Defense of Democracies (FDD) has issued numerous reports accusing Argentina of aiding an Iranian cover-up of Hezbollah’s purported role in the 1994 bombing of a Jewish community center in Buenos Aires. FDD has also been a strong supporter and promoter of the work of the late Argentine prosecutor Alberto Nisman, who was the chief investigator of the 1994 Buenos Aires bombing and was found dead in January 2015 on the night before he was scheduled to provide testimony about his charges against Argentina President Cristina Fernández de Kirchner. In 2006, Nisman accused Iran of being behind the 1994 bombing, a claim that many observers have argued is based on flimsy evidence. Shortly before his death, Nisman made the charge that the Kirchner government was trying to conceal Iran’s role in the attack in order to secure favorable trade agreements with Iran. In February 2016, Argentina’s new president agreed to a payment of $4.65 billion to Singer and a handful of other creditors to settle the debt they had bought.The deal was struck after Argentine President Kirchner stepped down in December 2015 as her term expired amid a cloud of scandals. In December 2017, she was indicted for “treason and other charges relating to Iran’s possible involvement in the unsolved 1994 bombing of a Jewish community center in Buenos Aires, which killed 85 people,” according to the New York Times. Jaime Fuller, “Meet the wealthy donor who’s trying to get Republicans to support gay marriage,” Washington Post “The Fix” blog, April 4, 2014, http://www.washingtonpost.com/blogs/the-fix/wp/2014/04/04/the-money-man-behind-pro-gay-marriage-republicans/. Commentary, “About Us: Staff,” http://www.commentarymagazine.com/about/staff/. 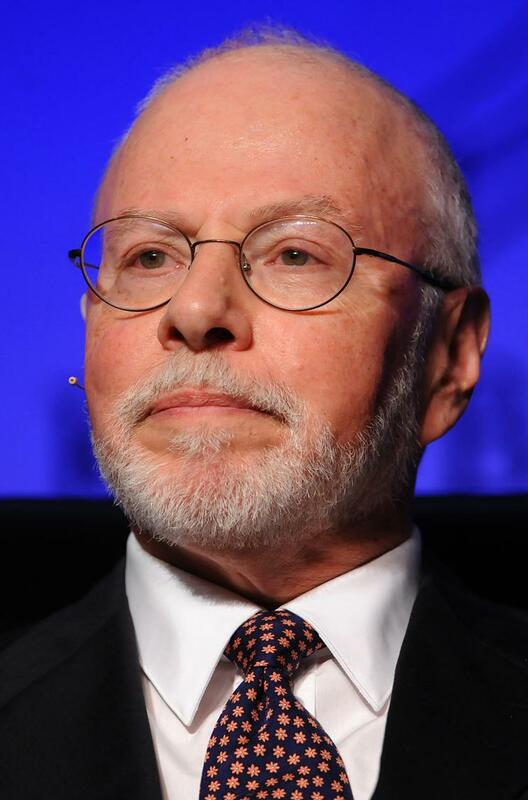 RJC, Paul Singer Board of Directors bio, http://www.rjchq.org/2012/07/paul-singer-board-of-directors/. Manhattan Institute, Board of Trustees,http://www.manhattan-institute.org/html/trustees.htm. Landon Thomas, “Hedge Fund Chiefs, With Cash, Join Political Fray,” New York Times, January 25, 2007, http://www.nytimes.com/2007/01/25/business/25hedge.html?_r=1&pagewanted=all. Eli Clifton, “Home Depot founder’s quiet $10 million right-wing investment,” Salon, August 5, 2013, http://www.salon.com/2013/08/05/home_depot_founder%E2%80%99s_quiet_10_million_right_wing_investment/. Matthew Mosk, “Economic Downturn Sidelines Donors to ‘527’ Groups,” October 19, 2008, http://articles.washingtonpost.com/2008-10-19/politics/36923049_1_wealthy-donors-independent-political-groups-evan-tracey. Theodore Schleifer, Sunlen Serfaty, and Dana Bash, “Top Republican billionaire Paul Singer endorses Marco Rubio,” CNN, October 31, 2015, http://www.cnn.com/2015/10/30/politics/marco-rubio-paul-singer-endorsement/. Eric Lichtblau, “Financier’s Largess Shows G.O.P.’s Wall St. Support,” New York Times, August 27, 2010, http://www.nytimes.com/2010/08/28/us/politics/28singer.html?pagewanted=all&_r=0%22%20%5Ct%20%22_blank. Guidestar.org, Paul E. Singer Foundation, 2010 Form 990, http://www.guidestar.org/FinDocuments/2011/272/009/2011-272009342-0817b514-F.pdf. Maggie Haberman and Nicholas Confessore, “Paul Singer, Influential Billionaire, Throws Support to Marco Rubio for President,” The New York Times, October 30, 2015, http://www.nytimes.com/2015/10/31/us/politics/paul-singer-influential-billionaire-throws-support-to-marco-rubio-for-president.html. Nicholas Confessore, Michael Luo, and Mike McIntire, “In Republican Race, a New Breed of Superdonor,” New York Times, February 21, 2012, http://www.nytimes.com/2012/02/22/us/politics/in-republican-race-a-new-breed-of-superdonor.html?pagewanted=all. Center for Responsive Politics, “2012 Top Donors to Outside Spending Groups,” http://www.opensecrets.org/outsidespending/summ.php?cycle=2012&disp=D&type=V. 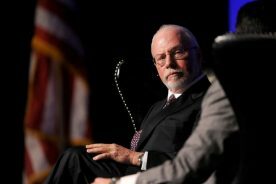 Michelle Celarier, “Mitt Romney’s hedge fund kingmaker,” Fortune, March 26, 2012, http://finance.fortune.cnn.com/2012/03/26/paul-singer-mitt-romney/. Charles Davis, “U.S. Hedge Funds Paint Argentina as Ally of Iranian ‘Devil’ – Part Two,” Inter Press Service, July 31, 2013, http://www.ipsnews.net/2013/07/u-s-hedge-funds-paint-argentina-as-ally-of-iranian-devil-part-two/. Editorial Board, “Argentina’s president resorts to anti-Semitic conspiracy theories,” The Washington Post, April 23, 2015, http://www.washingtonpost.com/opinions/conspiracy-theory/2015/04/23/0d2d07ca-e90b-11e4-aae1-d642717d8afa_story.html. Jaime Fuller, “Meet the wealthy donor who’s trying to get Republicans to support gay marriage,” Washington Post “The Fix” blog, April 4, 2014,http://www.washingtonpost.com/blogs/the-fix/wp/2014/04/04/the-money-man-behind-pro-gay-marriage-republicans/. Landon Thomas, “Hedge Fund Chiefs, With Cash, Join Political Fray,” New York Times, January 25, 2007,http://www.nytimes.com/2007/01/25/business/25hedge.html?_r=1&pagewanted=all. Eli Clifton, “Home Depot founder’s quiet $10 million right-wing investment,” Salon, August 5, 2013,http://www.salon.com/2013/08/05/home_depot_founder%E2%80%99s_quiet_10_million_right_wing_investment/. Theodore Schleifer, Sunlen Serfaty, and Dana Bash, “Top Republican billionaire Paul Singer endorses Marco Rubio,” CNN, October 31, 2015,http://www.cnn.com/2015/10/30/politics/marco-rubio-paul-singer-endorsement/. Eric Lichtblau, “Financier’s Largess Shows G.O.P.’s Wall St. Support,” New York Times, August 27, 2010,http://www.nytimes.com/2010/08/28/us/politics/28singer.html?pagewanted=all&_r=0%22%20%5Ct%20%22_blank. Committee on Capital Markets Regulation, “Members,” http://capmktsreg.org/members/. Paul Singer, “Free-Marketeers Should Welcome Some Regulation,” Wall Street Journal, April 3, 2009,http://online.wsj.com/article/SB123871848344884871.html. Nicholas Confessore, Michael Luo, and Mike McIntire, “In Republican Race, a New Breed of Superdonor,” New York Times, February 21, 2012,http://www.nytimes.com/2012/02/22/us/politics/in-republican-race-a-new-breed-of-superdonor.html?pagewanted=all. Charles Davis, “U.S. Hedge Funds Paint Argentina as Ally of Iranian ‘Devil’ – Part Two,” Inter Press Service, July 31, 2013,http://www.ipsnews.net/2013/07/u-s-hedge-funds-paint-argentina-as-ally-of-iranian-devil-part-two/.